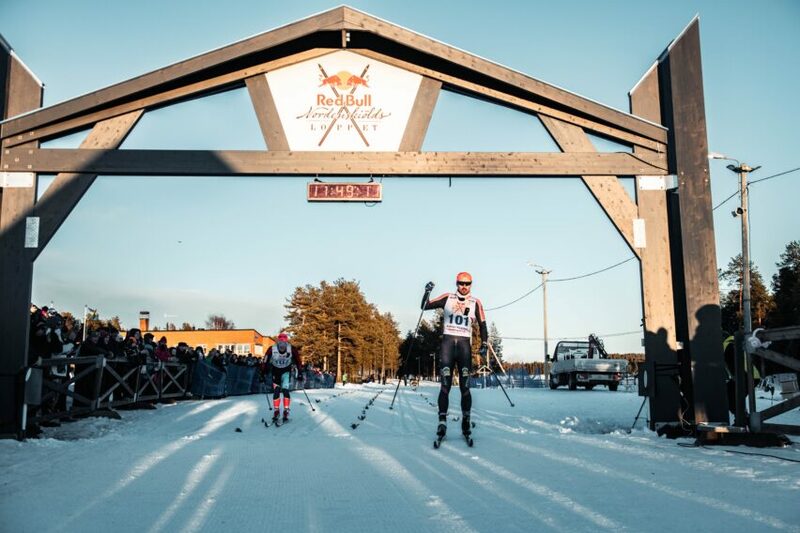 Long distance ace Andreas Nygaard took his third straight title at Red Bull Nordenskiöldsloppet in Jokkmokk, Sweden, by sprinting down his team mate Øyvind Moen Fjeld after 220 km. Vegard Vinje came third and completed the Norwegian triple on the podium of the world’s longest XC skiing race. 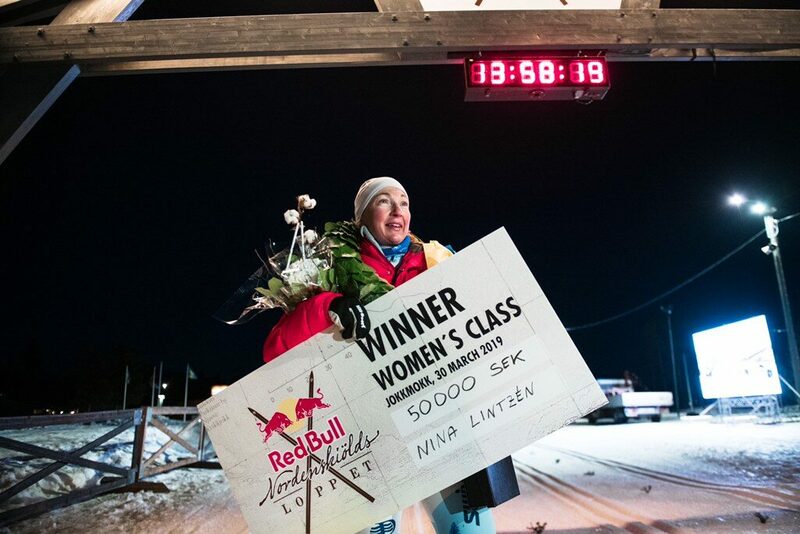 Nina Lintzén was in a league of her own in the women’s race and won solo. Third straight victory for Nygaard, as many second places in a row for Fjeld. ”It was my goal to win here for a third time so I got to keep the beautiful trophy for good, said Andreas Nygaard afterwards. It was cross-country skiing business as usual on the men’s side. Norway dominated as Andreas Nygaard once more showed his class and that he’s leading this year’s long distance championship for good reasons. Right before the remaining two races in Visma Ski Classics, he made three in a row at Red Bull Nordenskiöldsloppet. Norwegian Petter Eliassen was another giant of long distance skiing at the start. He however lost contact with the leading pack in an uphill on the way to the turning point and finished in fourth place. Sweden’s Johan Lövgren did his best race so far into the season. The 27-year old from Vännas got sixth and was the host country’s best skier in the longest and toughest ski race. ”It was terribly difficult, but I somehow managed pretty well”, Johan added to the protocol hanging over his poles. The first half of the race went through strong headwinds and still, a small group consisting of five skiers could break away. Johan was one of them. The leading pack coming in. ”In the uphill sections after around 120 km I couldn’t follow any longer when Øyvind Moen Fjeld and Andreas Nygaard stepped up the pace. I simply did not dare as I was afraid I wouldn’t last for the whole distance”, explained Lövgren. 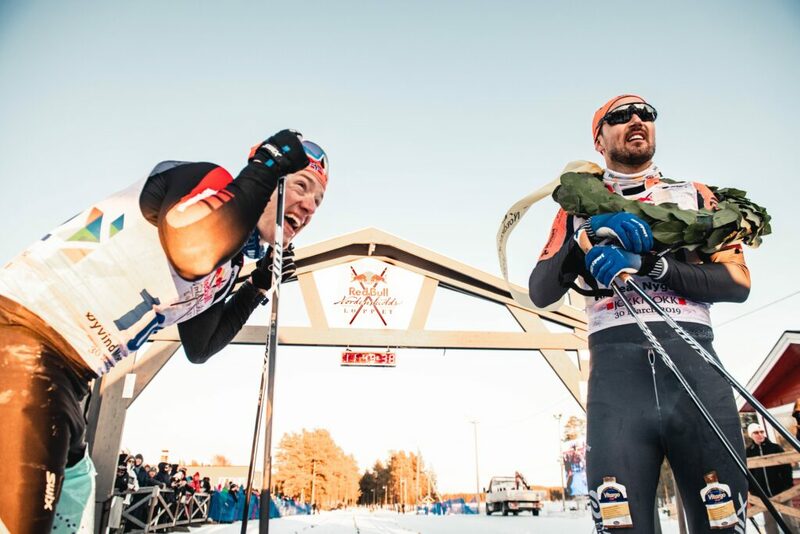 Lövgren and Finland’s Hans Mäenpää – world record holder in 24 hours skiing – then joined forces and stack together for the final 100 km. ”We took turns in the lead and helped each other”, explained Lövgren who eventually got the upper hand in the sprint before the finish. Nina Lintzén’s appearance was unconfirmed until late before the race as she only five months ago got a baby. 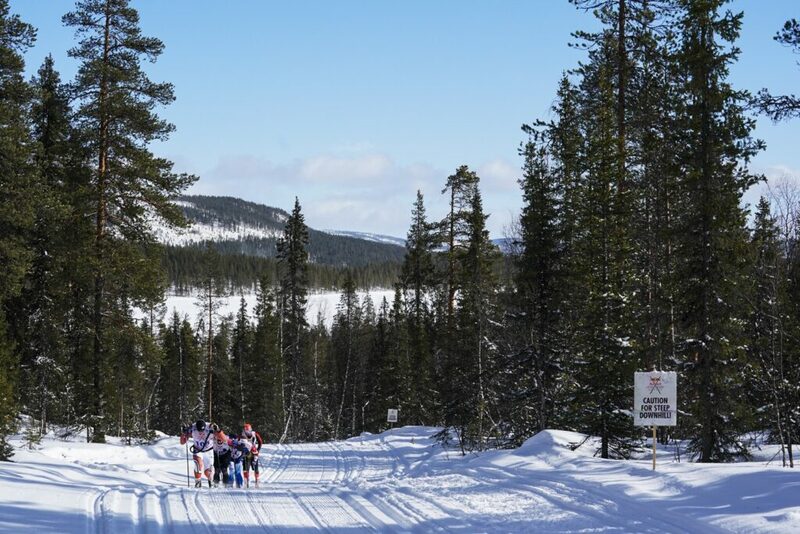 Once the winner from 2017 had decided to show up at the start line in Purkijaur just outside Jokkmokk, she opened hard despite her lowered amount of training hours. Nina Lintzén promised at finish to return even next year. In the beginning of the race she was in the leading pack but continued by herself as of Granudden (57 km) and skied solo almost all the way to the finish. There she arrived after 13:57:07. 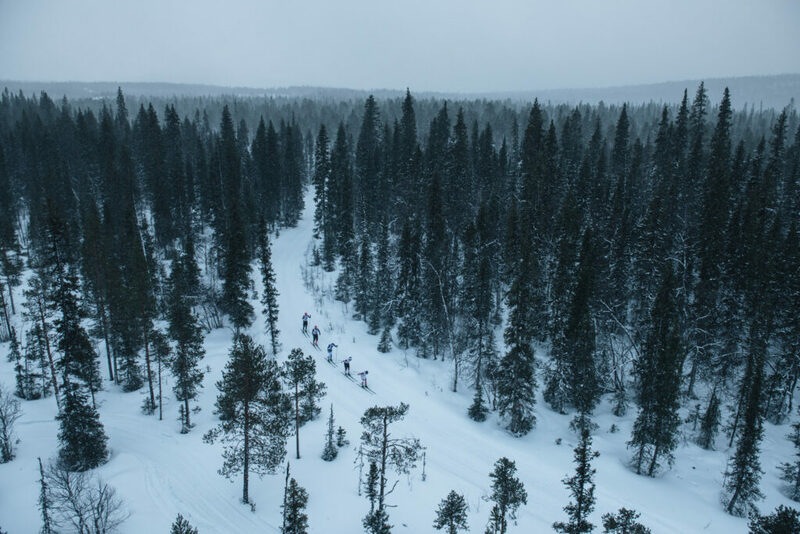 ”It was tough but I had good company of the winds”, a happy winner said back in Jokkmokk and added that skiing alone had gone just fine. Second place in the women’s went to Terhi Pollari (FIN) and last year’s second Olivia Hansson (SWE) came third.